Les Sapins Blonay, Hotel Switzerland. Limited Time Offer! Hotel Les Sapins. 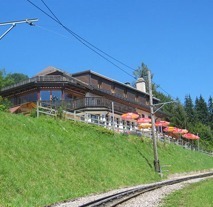 "Hotel Les Sapins" is situated in Blonay. Situated in Lally / Blonay, above Lake Geneva, Montreux and Vevey, the Les Sapins hotel offers you wonderful views, tasty cuisine and a charming, familiar atmosphere. The charming family hotel Chailly can be found only 3 km from the centre of Montreux. It is easy to reach and features its own car park. Breakfast is included in the room rate. The hotel is located in the west section of Les Avants, at Route des Narcisses, only 9 minutes walking from the city center.Of a Family category, the Le Castel has all the comforts such as : n.a..